The Bathurst Light Car Club is a mainstay in the Bathurst racing scene. Formed in 1953 by a group of car enthusiasts the club has grown dramatically over the last half-century. In recent years they organise and run an average of four CAMS certified events per month. A number of custom add-ons and other customisations were made during the website development. 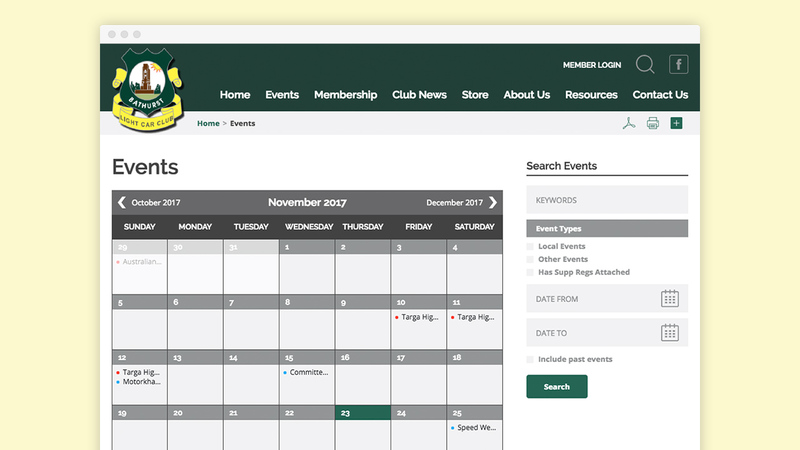 The key focus of customisation was the integration of user accounts with membership renewals and event registrations. Administrators can build and customise forms in the control panel while the user experience is simplified by prefilling competitor and car details from their account. The website was designed from the ground up to be mobile friendly and allow users to access information like current events and commitee contacts while on the go.